Design Your Own Labels Online - it's easy! Design your own personalised Vinyl or Aluminium Stickers, Security Tags, barcoded labels, and more. AssetLabels.com.au was created so you could see how your label might reasonably look before requesting a quote. Simply select your requirements from the options available below. As you complete your selections, you will be able to see the label you have chosen (excludes logo). When you are happy with the look, click “GET A QUOTE” and you will be asked to provide your contact information. We respond to all enquiries same business day. 99% of all orders are delivered within 10 business days. Would you like a free sample? Welcome to the easiest design it yourself website, where you can see an image of the Asset Labels you create, instantly. They are one of the best ways for Asset Tracking. Simply select your requirements from the options available. When you are happy with the look, just click on ‘GET A QUOTE’, register with your contact details, and we will contact you within 8 business hours. 99% of all orders are delivered within 10 business days. If your job is more urgent, please advise us so we can advise you of the soonest available options. At Assetlabels.com.au Pty Ltd, we stand behind the quality of our labels and our workmanship. Your happiness with our labels is paramount. QR Codes allow a lot more information to be stored for scanning any time. Our staff will be happy to explain further or answer any questions. Asset Labels can be produced in all different sizes. We also offer QR Codes on labels. 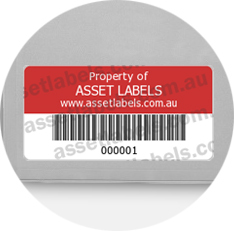 AssetLabels.com.au provides a fast, simple, and convenient service to satisfy your needs – stress free!